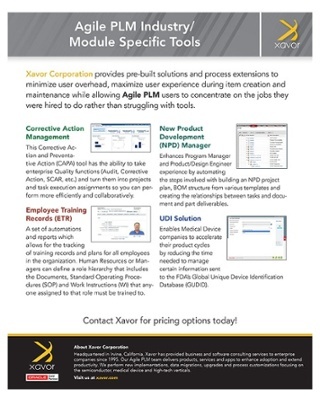 Xavor's Corrective Action Management, Employee Training Records, New Product Development Manager and UDI tools are a perfect fit for your specific industry. Track training records and plans for all of your employees. Automates the steps involved with building an NPD project plan. Gathers UDI related data and submits it to the FDA.